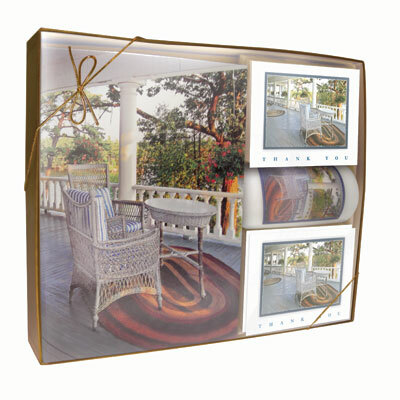 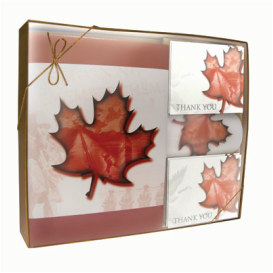 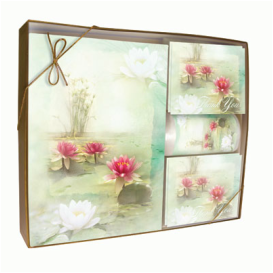 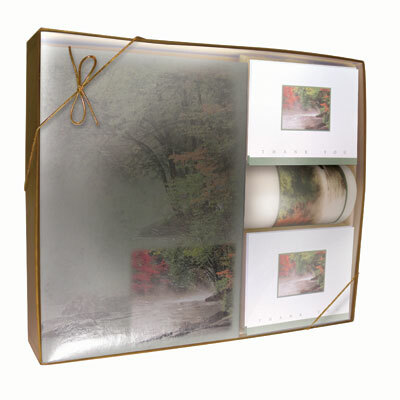 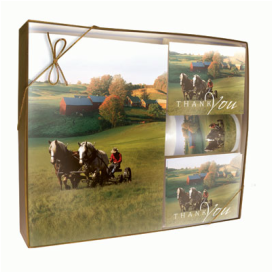 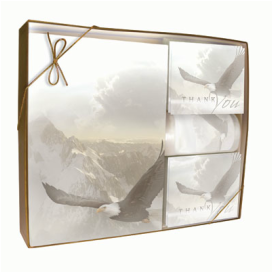 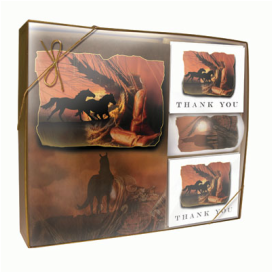 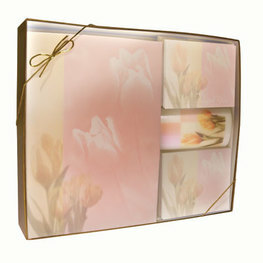 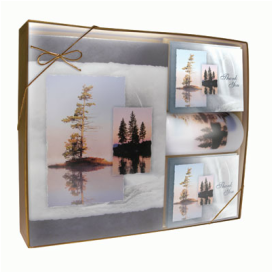 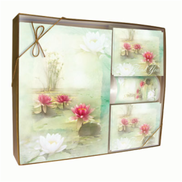 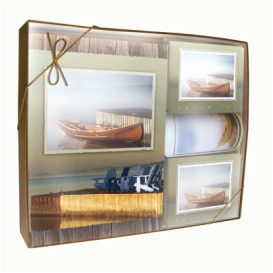 Our LifeTheme™ Memorial Books are carefully wrapped in tissue and packaged in deluxe black and gold presentation boxes. 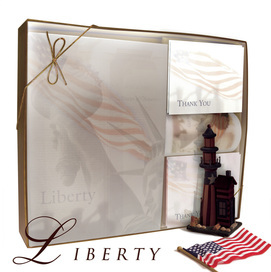 They include themed pages for signing, memorials, family history, floral, service and bearer information. 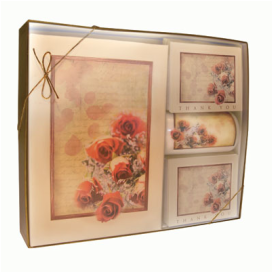 Additional pages can be added and customized to your needs. 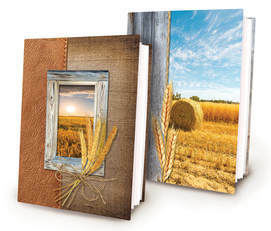 LifeTheme™ Memorial books are 8.5" x 11" and hold 7.5" x 11" interior pages. 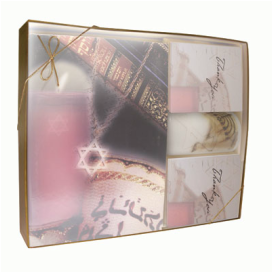 *3 day and 5 day Glass Memorial Candles are also available. 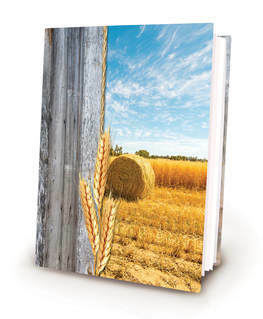 Our newest custom LifeThemes™ are now available to order - Sunset Wheat and Wheat Fields. 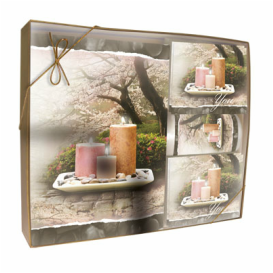 A perfect memorial for your families to cherish. 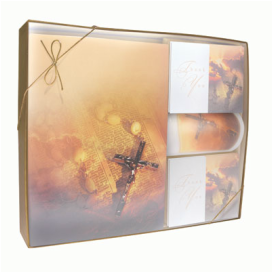 Shown below are our Memorial Stationery Packages - all items are available separately. 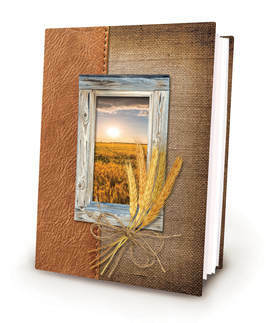 View from the barn of warm sunsets cast on golden wheat fields. 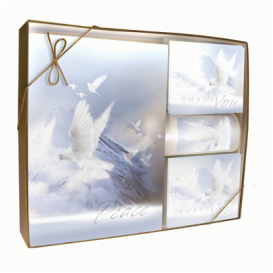 stillness that touches the soul.